For the first time ever, APAHO is sponsoring the Miss Asian Fest Pageant! 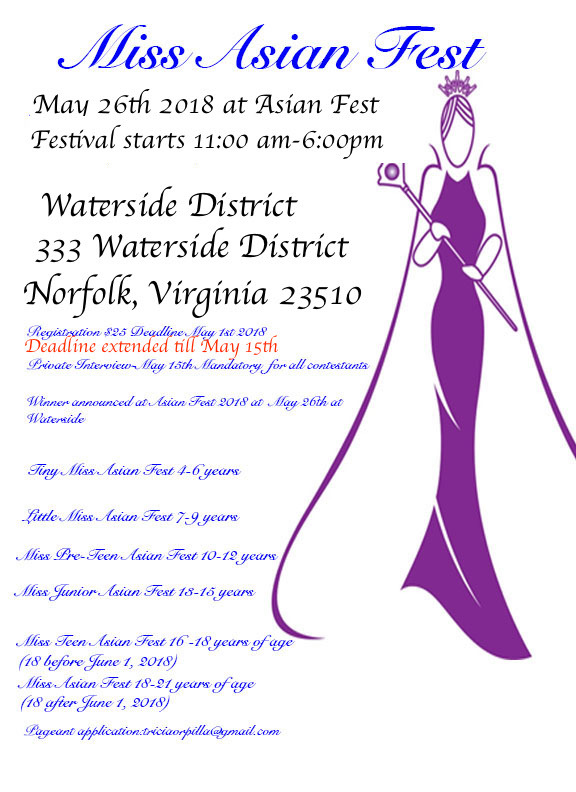 Winners to be announced at Asian Fest - May 26th, 2018 at Norfolk Waterside District. All contestants will march in the Parade of Countries, leading their country of origin. Please see http://www.apaho.org/miss-asian-fest/ for further details and to apply. Thank you for registering for APAHO news and updates!